Home » Network Marketing » HOW TO MOTIVATE YOUR TEAM MEMBERS AND GET THEM EXCITED TO WORK. HOW TO MOTIVATE YOUR TEAM MEMBERS AND GET THEM EXCITED TO WORK. Are you having a hard time motivating your team and getting them in action? Have you made the kind of mistakes that drain the energy from the members of your team? Does it feel like you’re the only one on your team who treats your business like a business? In this post, I will show you how to motivate your team members and get them excited to work. 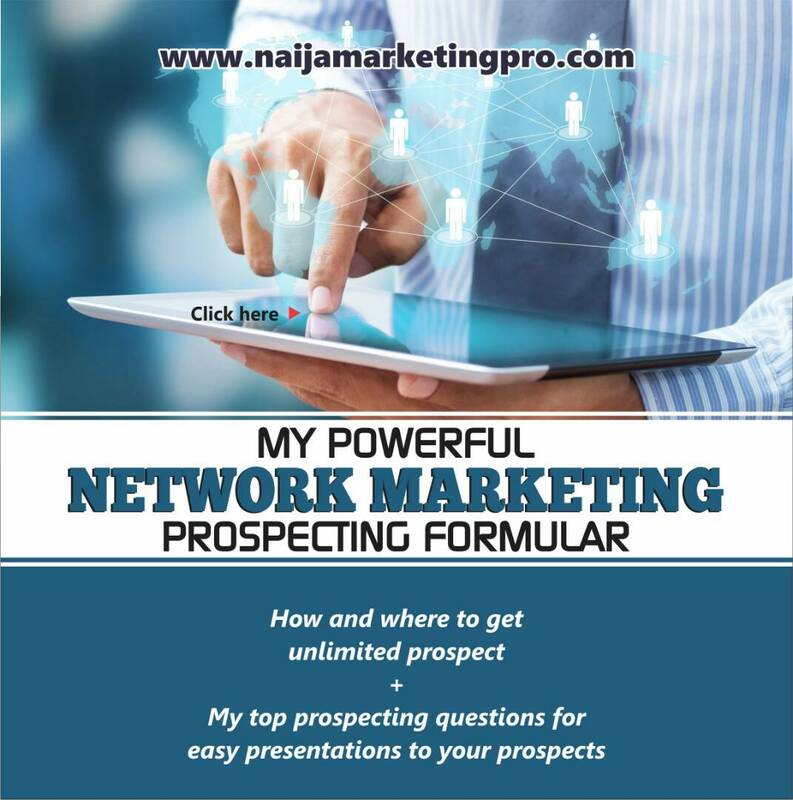 At Naija Marketing Pro Community, we have a mastermind group called NAIJAMARKETINGPRO MASTERMIND GROUP, we encourage one another everyday for excellence and greatness, to join our mastermind group, call or WhatsApp AOC on 08030609917 now. 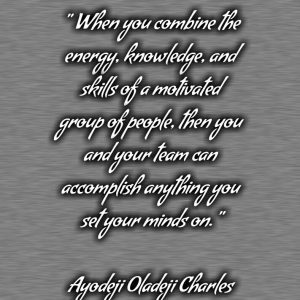 When you combine the energy, knowledge, and skills of a motivated group of people, then you and your team can accomplish anything you set your minds on. PREPARE THEM WELL MENTALLY FROM THE BEGINNING. But, it’s important to remember that in network marketing you’re not employing people. You’re bringing in people who want to become their own bosses and will run their business on their own terms. They can work as hard as they want or as little as they want. The choice is theirs. For this reason, when someone new gets started with me in my team, I’ll congratulate the person for making the decision to get started with us. I’ll tell them that I am proud of them for taking the decision to take charge of their financial life. I’ll ask them what their goals are. I will ask them how serious they are about getting this goals achieved. I will then set a clear goals with them. 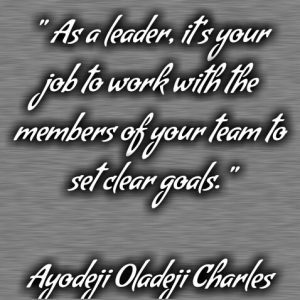 As a leader, it’s your job to work with the members of your team to set clear goals. And once you do that, make sure everyone knows exactly what those goals are, what their relative priority is, and what the team’s role is in reaching them. Once I know what their goals are, I’ll then share with them the reality of being in business for themselves. I’ll prepare them mentally to expect to lose motivation at times as this will surely happen. I will tell them that many at times they will feel like quitting. This question will give you not only insight into how you can help them but also gives you permission to give them a little “tough love” if needed. This question will also give you more information on how best you can help them when the need arises. I will now show them who my target market specifications are and how to work on the business successfully. Now, having get them started well. What’s next, I know I need to lead by example. 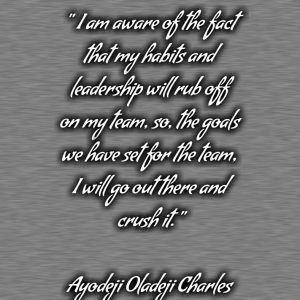 I am aware of the fact that my habits and leadership will rub off on my team, so, the goals we have set for the team, I will go out there and crush it. If you disappear for some months and no one of your team members knows your whereabouts, you are not leading by example. You should never dig below the bar you set and expect your team to perform at. HOW DO YOU GET EVERYONE MOTIVATED AND NOT JUST YOUR MOVERS AND SHAKERS? 1. Invest in your team by encouraging personal development. 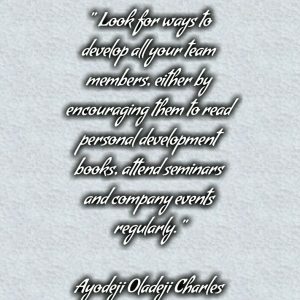 Look for ways to develop all your team members, either by encouraging them to read personal development books, attend seminars and company events regularly. Cross-training and mentorship will also help you just as much as your team member. By improving their skill set, you will reap the benefits too. Encourage them to learn more and do more. 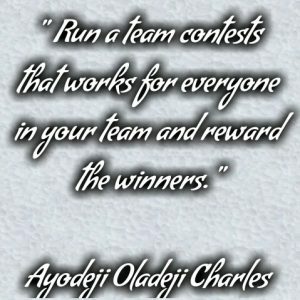 Run a team contests that works for everyone in your team and reward the winners. 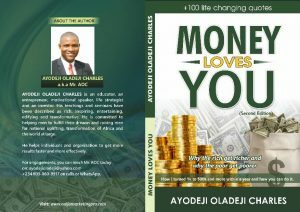 People are motivated by gifts, accolades and even cold hard cash. The point is that a small amount can go a long way into motivating your team. Send them a private “Thank you” note, acknowledge their success during the team meeting or events, buy them a ticket to a fun concert or other company events, and if you are so inclined, mail them candy… Lol. As said earlier on, accolades works. Public accolades works. Everyone wants to feel like they matter to your team or organization. Each member of your team needs to receive validation from you of a job well done. There are several things you can do to offer your team praises in your team in addition to rewarding them in ways we discussed earlier. You can create a “Wall for Team Member of the Month” in your team Facebook group or any social media channels you normally use in your team. Give them a shout out at the beginning of your meeting. Offer a certificate of recognition and hand out legitimate awards for each member based on their contributions to your team. 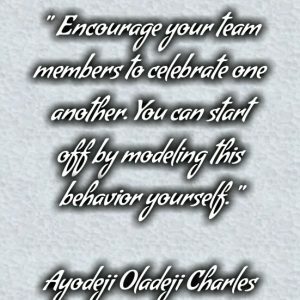 Encourage your team members to celebrate one another. You can start off by modeling this behavior yourself. Your team will catch the hint, but if they don’t, you can also gently prompt them. Use these tips to motivate your team. Although, there are other ways to encourage your team to be excited and fired up for success. In case you need someone to help you motivate your team members, you can hire AOC by calling or chatting with me on WhatsApp via 08030609917 now and expect the best. « WHY DON’T I DO WHAT I KNOW I SHOULD DO? Thank u AOC, my super Mentor?? Enjoy your holiday in Turkey.